Nebraska Warehouse offers customers the opportunity to reduce costs and increase efficiencies and flexibility within their supply chain through railroad access warehouse. Moving freight long distances via rail can be a very economical and efficient form of transportation, especially for heavier freight. Nebraska Warehouse operates rail-served warehouse facilities in Omaha, Nebraska with direct rail access from both Union Pacific Rail Road (UP) & Burlington Northern Santa Fe (BNSF). 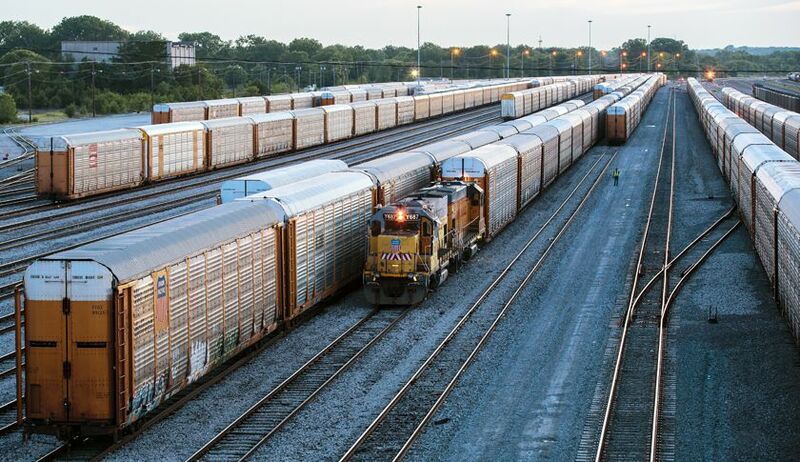 Freight from inbound railcars can be transloaded into containers for overseas shipping, or into trucks for domestic delivery. If you need to ship your freight via rail, but are not rail served at your own facility, we can consolidate truckload shipments at one of our facilities and then ship outbound via our rail-served warehouse. All of our terminal locations can handle loading and unloading railcars using top of the line equipment operated by skilled technicians. We bring it all together to provide the loading and unloading services you need to move products on the fastest-growing and most economical transport method today. No matter what the challenge, our railcar access can help make your project a success.